The Battle Lake 542 Education Foundation is a non-profit 501(c)(3), organized in 2011 to respond to the ever-increasing needs of our award-winning school district by financially supporting educational programs for all students in Preschool-12 grades. To augment public funds to support learning beyond the basics. Seek and utilize both the talents and financial resources of individuals, families, and businesses to meet and exceed the learning obligations of our Preschool – 12th grade students. To support the strategic learning programs in the Battle Lake School, which hone and enrich the skills of our students. Providing them the opportunity and framework to excel during their formal educational years, while building on critical thinking skills and developing positive interpersonal relationships to be better prepared to live and work in a global, technological and dynamic society. The Board meets monthly throughout the year and new members are always welcome! 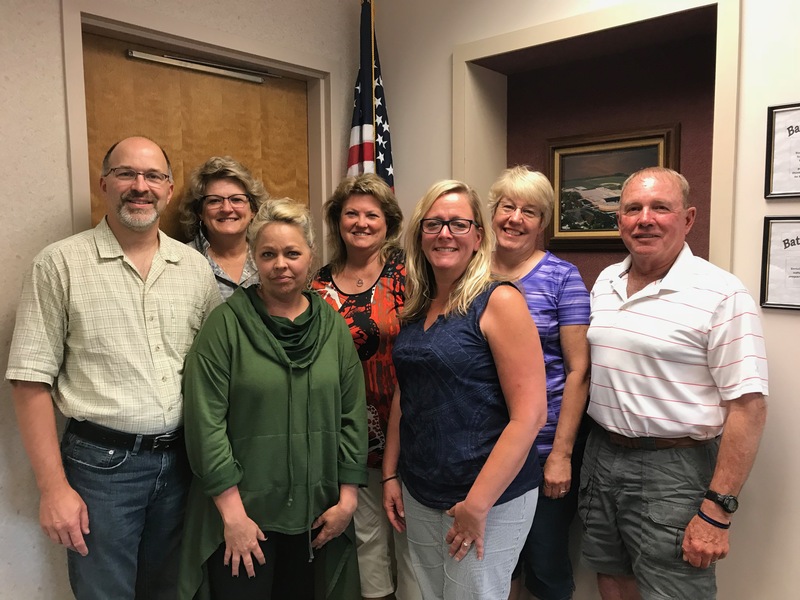 Pictured left to right: Bob Koltes, Judy Backhaus, Brooke Olson, Shari Prigge, Deb Ness, Jean Boyum, and Barry Nelson. Not pictured: Mike Ranstad, Brian Fitzgerald, Jeff Drake.